2015 was a busy year for gospel music artists in the DMV. While unable to recap all of the wonderful things that took place, here’s a look at 10 significant gospel music moments during the year, remember a few who have transitioned to glory and shines a spotlight on ones to watch in 2016. Richard Smallwood’s “Total Praise” performed during papal visit. This year, DC’s own musical genius and timeless legend celebrated the 20th year of his anthem “Total Praise.” Just before that major milestone, the song had a resurgence on the national stage when the St. Augustine Gospel Choir delivered a performance of “Total Praise” before Pope Francis at the White House. But that’s not all, the maestro’s latest album, “Anthology Live” debuted No. 1 on the Billboard Gospel Charts. He also gave a very transparent and taboo-breaking interview about overcoming depression when he was profiled in the Washington Post Magazine. Charles Butler had a stellar year in many ways. He and his ensemble, Trinity had the honor of singing twice at the White House for President Obama, they were nominated for a Stellar Award, honored by ASCAP and directed the Million Man March Choir, to name a few. Butler’s story is truly one of a hometown, humble fellow who has definitely done good. To top it off, he’s in the studio about to crank out new music in 2016 with uber producer Daniel Weatherspoon. Phillip Carter produced album reaches No. 2 on Billboard Gospel Chart. 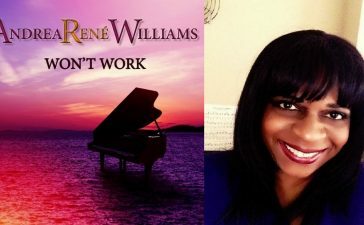 The Stellar Award winner and producer is one of the hardest working independent artists and has a penchant for helping artists understand and navigate the music industry. 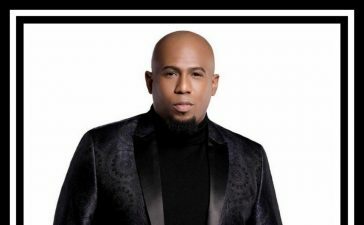 This year he teamed with Maranatha Gospel to produce “Top 25 Gospel Praise Songs.” The album which features many of the top independent artists based in the DMV reached No. 2 on the Billboard Gospel Chart and continues to sit comfortably in that spot. Pastor Jerome Bell works to bridge the gap. The Gospel music industry insider made a bold move this fall when he launched “Bridging the Gap-A Gathering of Priests and Levites.” The two-day event brought together musicians, singers and ministers in an atmosphere designed to edify and create a lasting bond among those who collectively impart so much to congregations. Pastor Bell capped the year off by traveling to the island of Guadaloupe where he ministered the Gospel message and sang background for famed guitarist Jonathan Dubose as his son Jonathan Bell did his part on the drums. Tracy Morgan joins Rejoice Musical Soul Food/does live TV recording. 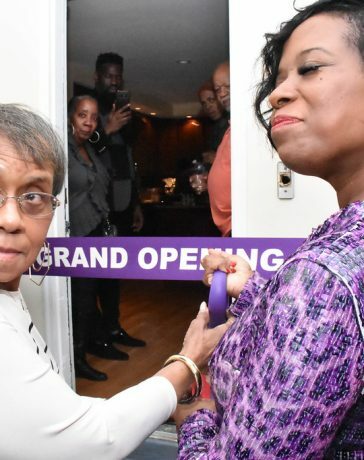 Certainly one of the DMV’s darlings for her exuberant personality; the radio veteran and Stellar Award winner with more than 30 years of experience made some major moves this year. In January, she joined Rejoice Musical Soulfood as its mid-day host. 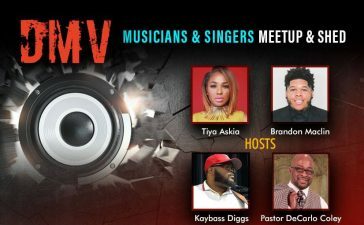 This December she hosted “Hometown Christmas Celebration,” a live TV taping at A Word of Grace Worship Center in Waldorf where she spotlighted many artists in the DMV. Expect more of the same from Morgan in 2016. 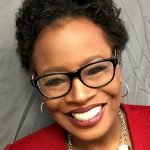 Cheryl Jackson celebrates 25 years in radio. 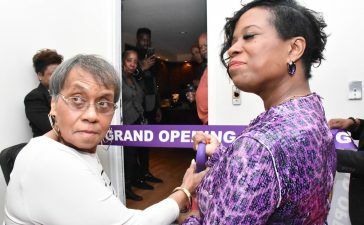 A who’s who of the gospel industry came together to celebrate the Stellar Award winner’s 25th anniversary as a radio personality and broadcast executive. In addition to her penultimate celebration, Jackson held several “More Than Music” Sunday concerts around town which gave artists a platform to share their talents. David Griffiths unveils “Journey to Worship”– The Minister of Music at Nineteenth Street Baptist Church served up an original play in December based on his missionary travels and musical awakening. The play was part autobiography, part songfest and showed that personal stories put to song has the power to reach the masses. Hopefully, Griffiths will reprise the play in the near future. Evolution of Gospel Concert Expands Reach. The 7th annual concert that celebrates Gospel Music Heritage Month evolved to a new level this year. The Gospel Music Heritage Month Foundation partnered with McDonalds to bring their Inspiration Celebration Gospel Tour to the Kennedy Center as part of the event. In addition, the organization sowed into the community by issuing checks to two local schools. 2016 certainly promises to be another great year for the concert that has become a hallmark of excellence and is always sold out. 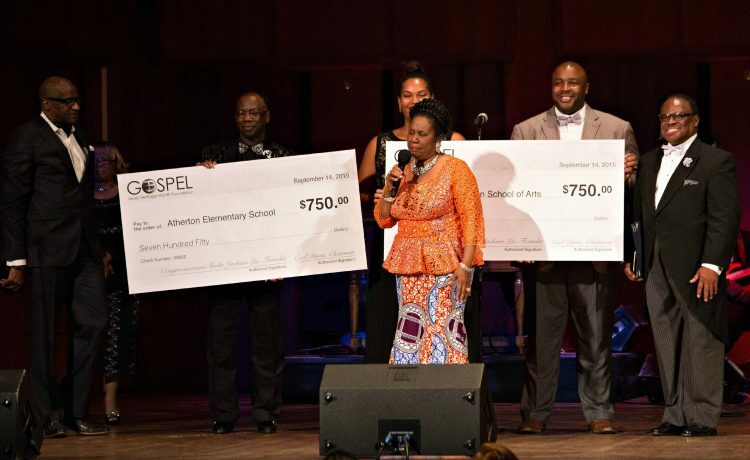 Gospel Music Heritage Month was made possible through the efforts of Congresswoman Sheila Jackson Lee (D-Tex) and her co-sponsor Sen. Blanche Lincoln (D-Ark.) when they introduced a bill declaring September as Gospel Music Heritage Month. International Tours: Roderick Giles and Grace traveled to Switzerland and Italy to minister in song and multi-talented musician Dre Jones updated his Facebook travelogue daily so those back home could share in the journey. One poignant photo captured the group doing street evangelism. They were not the only ones to leave the States. Artist Donald Simms also performed on his first European tour. January: Gospel announcer Marsha Sumner passes away: The DMV mourned the loss of the beloved radio personality. For two decades, the native Washingtonian graced the airwaves in the DMV. There was an outpouring of love at her homegoing as colleagues and friends talked about a woman who loved life, loved her craft and most of all loved God. November: Belinda Jackson, founding member of Steve Key & Company passes away. The singer was one of the original soloists in the ensemble. Jackson loved music and according to a posting on Key’s page when they were pre-teens, Belinda Jackson, Wayne Jenkins, and Key formed a singing group called JKJ (Jenkins-Key-Jackson). The Seek and Find Project-Quartet music sounds so good when this group of young men grab the mic. The group brings a fresh style to quartet music, yet loses none of its overt gospel message. Jeremiah Hicks– He’s already released a well-received single, “Praise Him” Look for a powerful album to be unleashed in 2016. The in-demand background singer who has backed up Marvin Sapp, Byron Cage and so many others, will hold his live recording, “A Worship Heart’ on February 12, 2016.